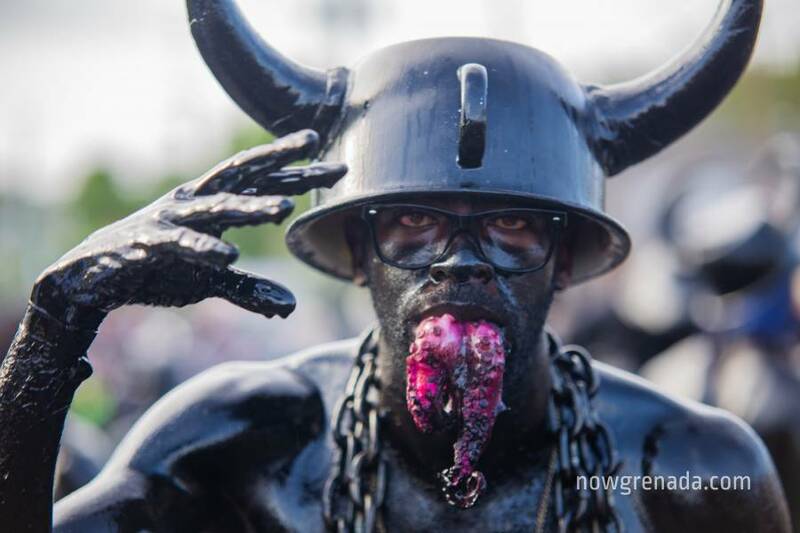 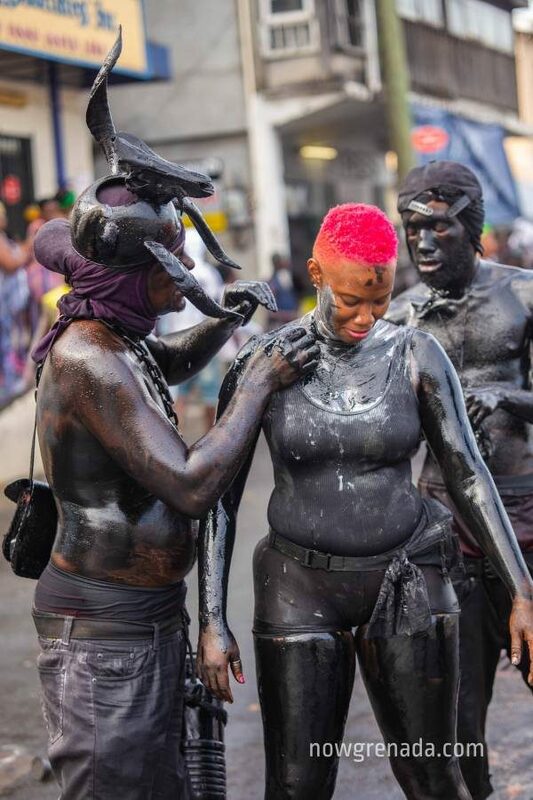 Around 5 am, Jab Jab, black and colour-daubed figures appear in the streets in the early hours of Carnival Monday, launching the start of the 2-day carnival street parade. 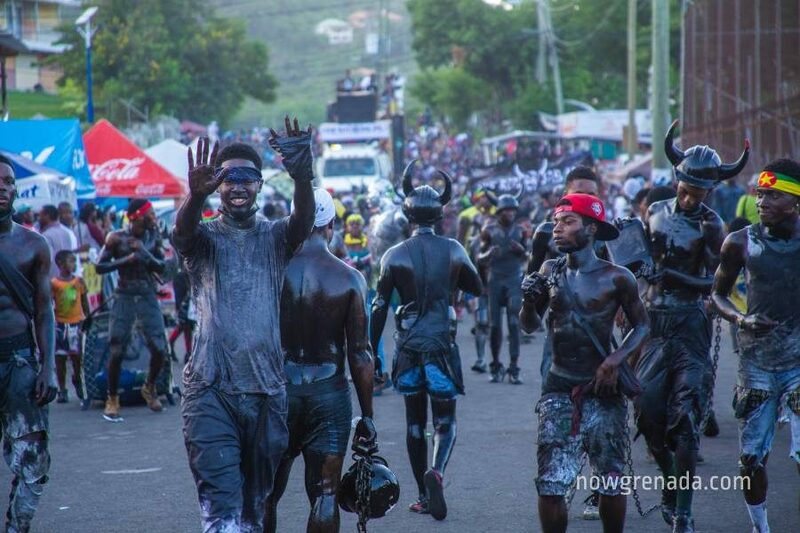 This first part of carnival is called J’ouvert and begins around 5 am. 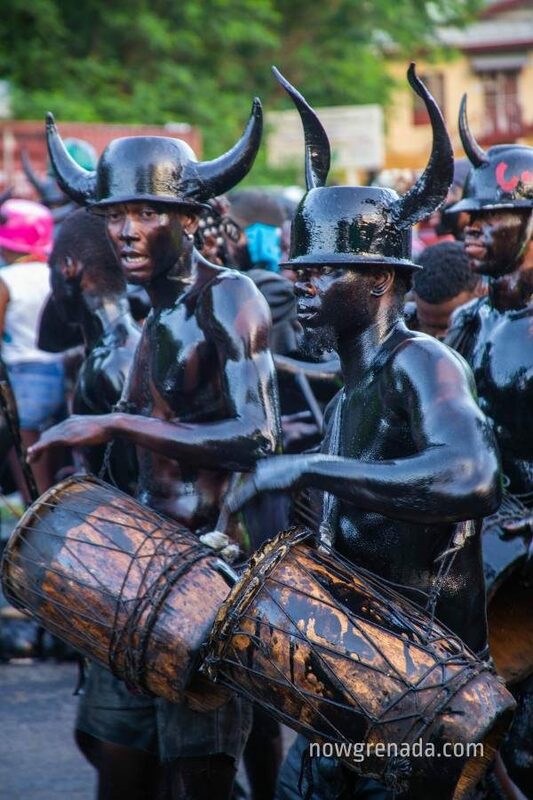 The traditional daub is either old oil, charcoal dust, tar or a combination thereof. 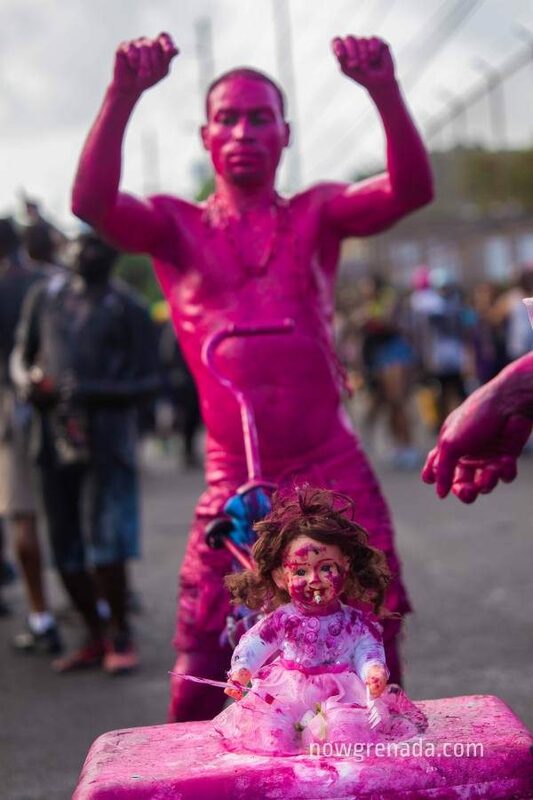 The modern version includes brightly coloured and metallic body paint. 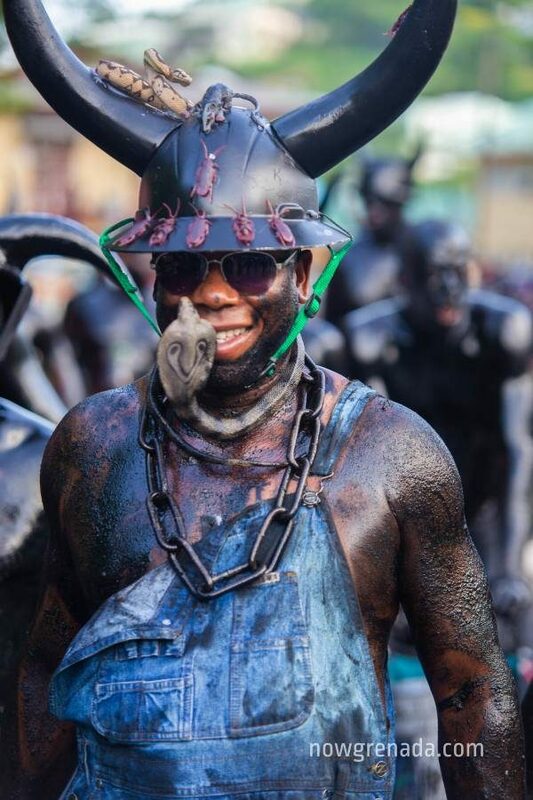 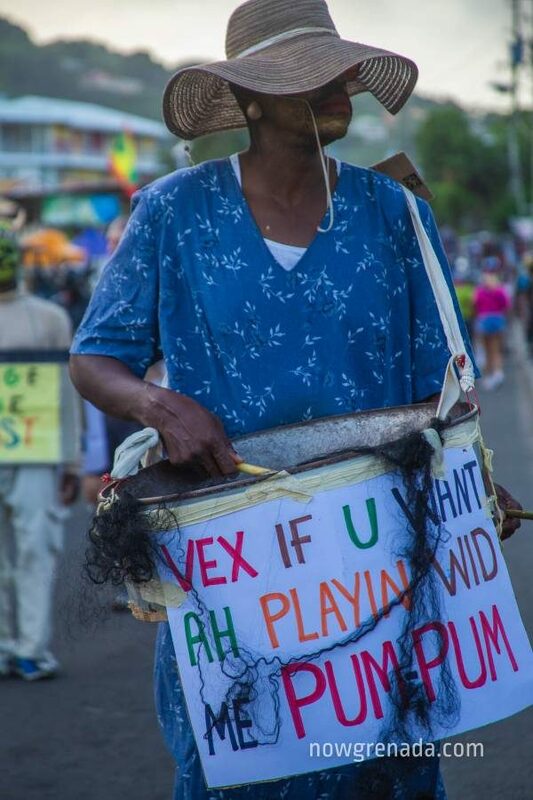 Once the sun rises, Ole Mas’ – masqueraders in old clothing and bearing placards of social commentary on local and international events, take to the streets. 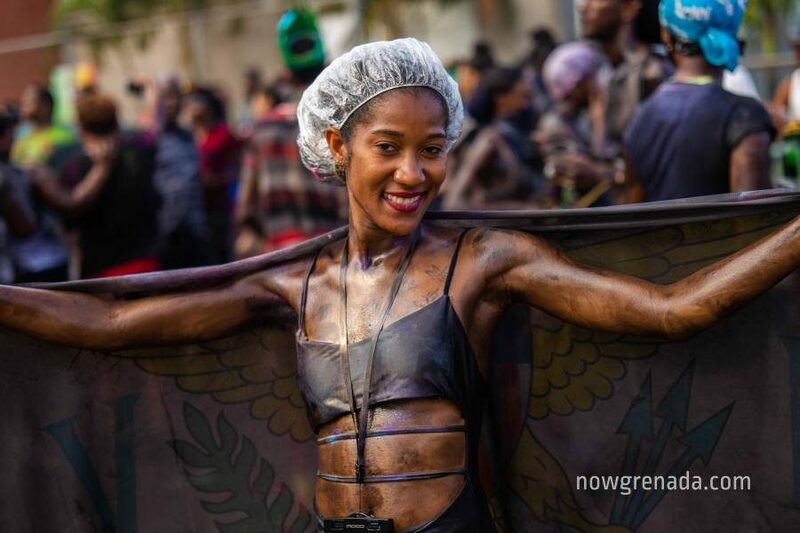 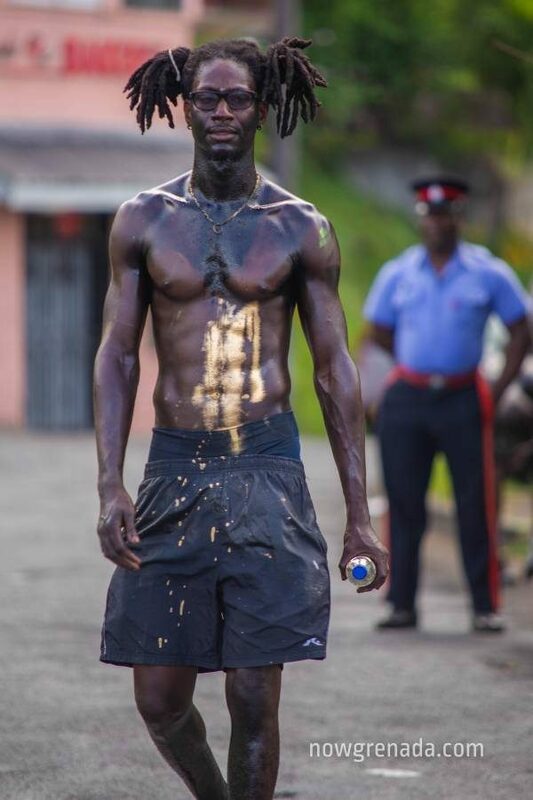 J’ouvert officially ends at 10 am to make way for Pretty or Fancy Mas’.